Diageo North America has renewed its distribution agreement with Southern Wine & Spirits of America ahead of the company’s integration with Glazer’s Inc.
Diageo remains the largest supplier in Southern’s portfolio and is represented in open states including Alaska, California, Florida, Hawaii, Indiana, Kentucky and Washington. “We are thrilled to renew our distribution agreements with Diageo across our seven Open markets,” said Wayne E. Chaplin, president and CEO of Southern. “As partners coming out of Diageo’s initial wholesaler alignment nearly 15 years ago and leaders in our respective tiers, together we have pioneered many of the route-to-market best practices in place in the wine and spirits industry today. Earlier this month, Southern announced that it had signed an agreement to integrate with fellow distributor Gazer’s Inc. to form Southern Glazer’s Wine & Spirits – now the largest wine and spirits distribution firm in North America. However, the deal is not set to be completed until the second quarter of 2016. 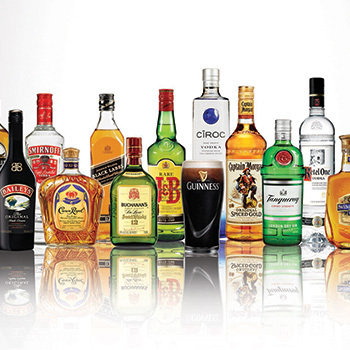 Diageo said the renewed deal with Southern is a “continuation” of its route-to-market strategy, which began in 2001 when Diageo consolidated its distributors and brokers to form dedicated selling divisions within the wholesalers to focus solely on Diageo and Moet Hennessey brands. Southern has dedicated units for Diageo and Moet Hennessey, which also recently announced its renewed distribution contract with the distributor. “We are excited about what these historic agreements mean for Diageo,” said Jeff Ivey, Diageo North America’s Chief Commercial Officer. “Southern’s long history in our industry, excellent leadership, and team of talented sales professionals will ensure that we will continue to get our products into the hands of even more consumers across these states.